Drake’s Landscaping is a design and build landscaping company in Columbus, Ohio, specializing in residential landscape construction. 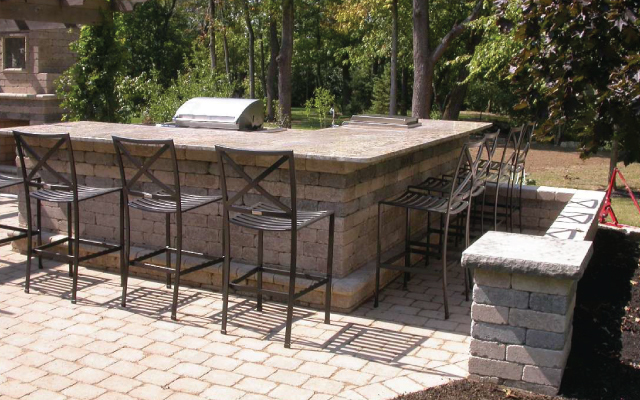 We work with you create your ultimate outdoor living space! Whether you need a simple way to add color to your yard or a complete outdoor masterpiece, we’ll transform your property into a work of art. We serve the following areas in and around Columbus, Ohio: Dublin, Powell, Hilliard, Lewis Center, New Albany, Upper Arlington, Worthington and more. Contact us today to make your vision for your yard into a reality! 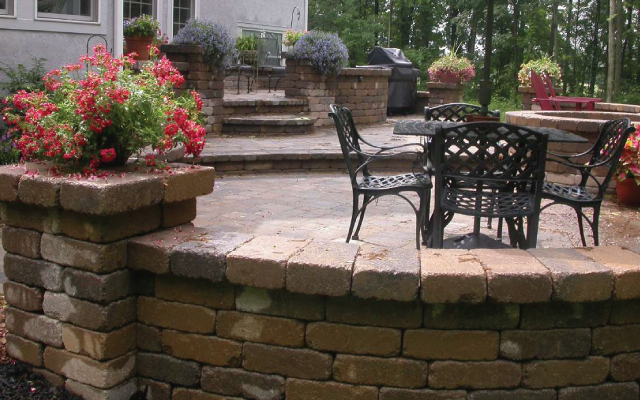 Our variety of services includes brick and paver patios, retaining walls, fireplaces and more—accompanied by surrounding greenery. Stand out from the crowd! 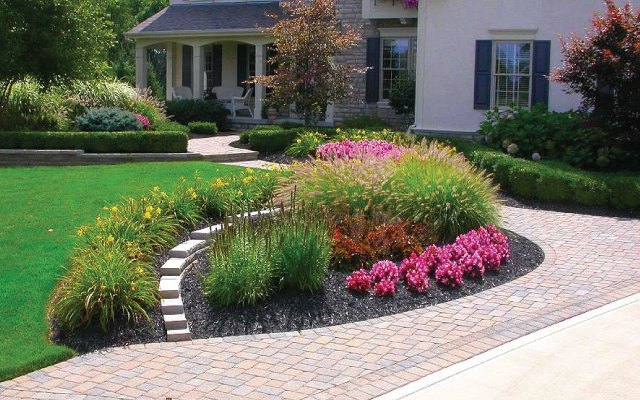 Increase your home’s curb appeal and your property value with a custom walkway and driveway. Entertain in style with an outdoor kitchen, dining space, lighting and fire pit unique to you. We’ll meet with you to discuss your vision. Then, we’ll provide a sketch so you can preview the proposed design. Take as much time as you need to look over the design. We’ll work with you to make any adjustments until it’s perfect. We’ll execute your project within the discussed timeline and make sure you’re 100% satisfied. 80% of our business is referrals from our happy customers!